Historic Hudson Valley announced that it is removing the animals from Philipsburg Manor for a cost savings of $200,000/year. The organization manages several sites including Kykuit and Sunnyside in Westchester County. Two oxen, 18 sheep and lambs, and chickens have been relocated to farm sanctuaries. In addition, 13 people were let go earlier this year including the site manger of Sunnyside. 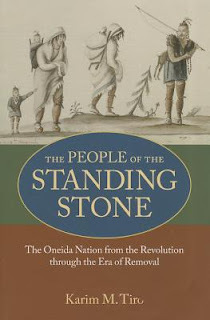 Karim M. Tiro’s The People of the Standing Stone: The Oneida Nation From Revolution Through the Era of Removal (Univ. of Mass. Press, 2011) traces the history of the Oneida’s experiences from the American Revolution to the mid-nineteenth century. Between 1765 and 1845, the Oneida Indian Nation weathered a trio of traumas: war, dispossession, and division. During the American War of Independence, the Oneidas became the revolutionaries most important Indian allies. They undertook a difficult balancing act, helping the patriots while trying to avoid harming their Iroquois brethren. Despite the Oneidas wartime service, they were dispossessed of nearly all their lands through treaties with the state of New York. In eighty years the Oneidas had gone from being an autonomous, powerful people in their ancestral homeland to being residents of disparate, politically exclusive reservation communities separated by up to nine hundred miles and completely surrounded by non-Indians. The Oneidas physical, political, and emotional division persists to this day. Even for those who stayed put, their world changed more in cultural, ecological, and demographic terms than at any time before or since. Oneidas of the post-Revolutionary decades were reluctant pioneers, undertaking more of the adaptations to colonized life than any other generation. Amid such wrenching change, maintaining continuity was itself a creative challenge. The story of that extraordinary endurance lies at the heart of this book. Additional materials, including teaching resources, are available online. The author specializes in North America from the 16th through the mid-­19th centuries. He is also the author of Along the Hudson and Mohawk: The 1790 Journey of Count Paolo Andreani (University of Pennsylvania Press, 2006). Tiro is an Associate Professor of History at Xavier University and is currently researching the history of the United States sugar industry. It’s a little known fact that the cheese industry in America owes a lot to New York State. Milton Stewart has set out to set the record straight with Say Cheese! 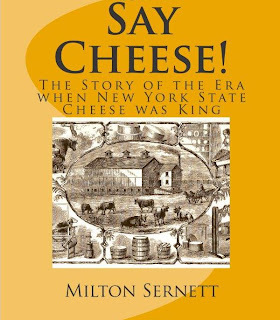 The Story of the Era When New York State Cheese Was King, the story of the era when the premier cheesemaking region of the United States was in Central New York, chiefly in the Mohawk Valley. The Landmarks Society of Greater Utica’s second Picnic in the Park will be held Saturday, June 2 from 10 a.m.-8:00 p.m. at the Society’s mansions at 1 and 3 Rutger Park, Utica. Day-long activities include guided tours of the mansions, live musical entertainment, face painting, a classical car show on the lawn, an art exhibit featuring local artists, book signings and sales by area authors, and basket raffles. A food tent will provide wholesome foods, beverages and home made desserts. All Landmarks members will receive complementary ice cream. A “Vendor Village” will feature many area crafters and creators selling their wares. There is no admission fee. All proceeds will be designated for the Mansions Restoration Fund. Seventy-five years ago, the Adirondacks were abuzz about a precocious athletic phenom, a plucky teenager who exhibited incredible abilities on the golf course. The best players across the region were impressed by this remarkable child who could compete with anyone on the toughest courses. In a man’s world, this youngster—a girl—could challenge the best of them. Marjorie Harrison, daughter of Neil and Eva, was born in 1918 in the town of North Elba. Her dad earned a living as a golf-club maker, eventually moving to Ausable Forks to assume the position of club professional at the Indole Course. Having first wielded a club at the age of three, young Marjorie began developing her golfing skills on the local links. In a shocking glimpse of future possibilities, she won the women’s cup at Indole in 1928 when she was just ten years old. In 1932, the loss of her mom, Eva, to pneumonia, tested Margie’s inner strength, but that was something the young girl never lacked. With few team sporting possibilities available to girls, she excelled at horseback riding, skating, skiing, shooting, and, of course, golf, which are largely solo pursuits requiring heavy doses of self-reliance. Neil soon began to eye the amateur golf tour as a challenge for his highly skilled daughter. In sports, the term amateur revealed nothing in regards to talent—it only meant that a competitor was unpaid, and thus pure (unsullied by the world of professional athletics). At that time, there was no golf tour for women professionals. Nearly all the best players competed for cups, trophies, prestige, and for the sake of competition. Turning pro was rare. Only a few of the top women players were signed to represent major sporting goods companies. Once money was accepted, they forfeited all eligibility to compete in amateur events. Men lived in a different world, but for women, a professional golf tour was more than a decade away. In August, 1933, Marjorie Harrison played in the state event at Bluff Point just south of Plattsburgh, where an international field offered stellar competition. She fairly burst onto the New York golfing scene, battling to the semifinal round, where a seasoned opponent awaited. Incredibly, Margie went on to lead her semifinal match by one hole going to the 18th (nearly all tournaments featured head-to-head match play). There, she faltered, three-putting the final green to lose her advantage. But with steely resolve, Margie parred the single playoff hole for the win, sending her to the finals. In the championship round she faced Mrs. Sylvia Voss, an outstanding golfer who promptly won the first three holes, putting Margie far behind. Bringing her power game to the fore, Harrison tied the match by the 14th and led by one at the 17th, but lost the last hole to finish in a tie. Just like in the semifinals, a playoff was necessary. And, just like in the semifinals, Marjorie holed a par putt to win on the first playoff hole. She was barely 15 years old and had conquered some of the best golfers in an international tourney. From Boston to Dallas to the West Coast, newspapers touted her great accomplishment. The New York Times wrote, “Swinging a wicked driver and with iron shots of unusual precision … Marjorie Harrison of Au Sable Forks won her first major golf tourney today.” She was also featured in The American Golfer magazine for the Bluff Point win. In 1934, Marjorie, 16, made it once again to the finals at Bluff Point, where she was set to face Dorothy Campbell Hurd, a golfing legend. Hurd, 51, owned 749 victories, 11 national amateur titles, and once held the American, British, and Canadian titles at one time. Hurd was right—there was much more to come, including several wins over the next few years. Margie finished near the top in virtually every tournament she entered. Some were very gutsy performances featuring remarkable comebacks, but most were head-to-head battles where mistakes seemed to have no effect on her. She was one tough competitor, always playing with grace, humility, and great determination. In 1935, Marge finished second in the New York State Championships, and then reached the semifinals each of the next three years. Another major breakthrough came in July, 1937, when she shot a 37 on the final 18 holes at Rutland, Vermont (near her dad’s home area of Castleton) to win the Vermont state title. She was just a few months past her 19th birthday. At Brattleboro in 1938, Marjorie successfully defended her Vermont title with a birdie on the 15th hole to clinch the win. Other highlights that year included shattering the course record at Bluff Point- winning at Lake Placid- and teaming up with the legendary Gene Sarazen in a remarkable comeback to win a benefit tourney. For years, Marjorie was at the top of New York’s competitive golfing scene, which attracted some of the best players in the country. Despite the high level of play, it was considered an upset NOT to see her name in the semifinals of any tournament she entered. Whether in Quebec, Syracuse, the Berkshires, Briarcliff, or anywhere else she competed, the North Country’s ambassador of golf was respected and admired for her sportsmanship and fine play. Many club titles were won and course records set by Marjorie, including at Bluff Point, Lake Placid, Albany, and Troy. She wowed the crowd at Sulphur Springs, West Virginia, battling fiercely to finish second in the Mason-Dixon tournament. Some golf writers pointed out that unlike athletes from warm-weather areas, Miss Harrison achieved great success despite playing only a few months of the year, and while attending high school and different colleges. Though still a youngster, she returned to Ausable Forks in 1940 for a career review at a testimonial dinner—and for good reason. A few days earlier, at the age of 22, Marjorie had overwhelmed all comers and captured the New York State Women’s Golf Championship. She maintained her winning ways, but during the World War II years, sports were sharply curtailed across the country to conserve fuel for the troops. Opportunities were meager, but Margie picked up two wins in 1944, followed by a stellar performance that led her once again to the finals of the New York State Championship Tournament. Her talented opponent in the finals, Ruth Torgersen, was a very familiar combatant from many past matches. Torgersen, in fact, would go on to win a record seven NYS championships and be named New York’s Golfer of the Century. On this day the two stars battled for 32 holes, at which point Marjorie held a three-hole lead. But on the 33rd, a stroke of bad luck left her ball balanced atop a bunker. Deemed an unplayable lie, it cost her the hole as Torgerson was quick to take advantage and cut the deficit to two. Undaunted, Margie looked down the fairway of the 346-yard 16th hole and blasted a 200-yard drive. She nearly holed her second shot from 146 yards out, and then tapped in an easy putt for her second New York State title. In that same year, the Women’s Professional Golf Association was formed, to be replaced six years later by the LPGA. Had she been born years later, there’s a good chance the girl from the Adirondacks would have won a good deal of prize money. For Marjorie Harrison, though, life took a different path. After completing college, she had begun a career as a physical education teacher. In June, 1946, while still competing and winning, she married Bart O’Brien, himself a star golfer at Indole, the Ausable Forks course managed by her father, Neil. For a while she competed as Marjorie Harrison O’Brien, but when Bart took a job teaching in the Oneida school system, they moved there and began raising a family. Semi-retired, Marge played occasionally in tournaments, but by 1954 she was busy raising three children, teaching, and becoming a very active participant in the community. She began giving adult golf lessons, and children’s lessons soon followed. Bart became school principal, and together he and Marjorie maintained a high profile as community leaders. Honors were bestowed on both of them for their work in the school system, and in 1970 she was chosen as an honorary life member of the Oneida school district PTA. In 1973, Marjorie was named Outstanding Citizen by the Oneida Rotary, and Bart was cited several times for his work on behalf of the organization. Through it all, they maintained close ties annually with family in the Ausable Forks area, where her dad, Neil, still held the position of golf pro at Indole through the mid-1960s. Marjorie Harrison O’Brien passed away in 1999, and Bart died in 2004—two natives the North Country can truly be proud of. Photo: Young Marjorie Harrison, golfer extraordinaire. Lawrence Gooley has authored ten books and dozens of articles on the North Country’s past. He and his partner, Jill McKee, founded Bloated Toe Enterprises in 2004. Expanding their services in 2008, they have produced 20 titles to date, and are now offering web design. For information on book publishing, visit Bloated Toe Publishing. Milton J. Bloch, former president of Munson-Williams-Proctor Arts Institute (MWPAI), died in his home in Charlotte, NC last week. He was 74. Bloch, an artist, author, administrator, educator and philanthropist, served as president of MWPAI from January 1991 through December 2008. During his tenure he led the Institute through the largest period of growth in its more than 80-year history. By investing in excess of $25 million, he doubled the size of the campus which led to the renovation of the west side community. Expansion and growth projects under Bloch’s tenure were numerous. Major accomplishments included: renovating the Museum of Art Interior- constructing an education wing connecting the Museum of Art building with Fountain Elms which also includes an underground storage facility to house the Museum’s collection- and revamping the former Fleet bank building on Genesee Street into a modern dance studio. 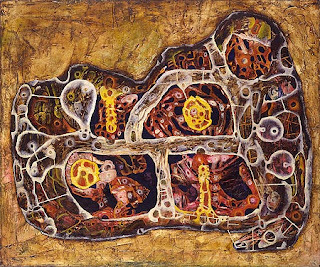 Bloch also initiated two major exhibitions, “Splendors of the New World,” which opened in 1992 and the inaugural American tour of “Soul of Africa: African Art from the Han Coray Collection” in 1998. Spiridigloizzi added that the physical changes were only a small part of Bloch’s legacy and that his greatest achievement was how he changed the working atmosphere for the Institute. “He opened everything up for the staff. He valued everyone and never turned anyone away. He loved hearing new ideas and allowed everyone to participate in decision making,” he said. In 1998, MWPAI received the Governor’s Award for Excellence in the Arts- and in 2002, received the Outstanding Upstate Arts Organization award presented by the Alliance for NY State Arts Organizations. In 2002 Bloch received the Humanitarian of the Year award from the American Lung Association. Upon his appointment, Bloch pledged a complete immersion in the Institute and the community-at-large. During his tenure he advised and assisted more than 50 area organizations including The Utica Symphony, Sculpture Space, JCTOD, GroWest, the City of Utica, Village of New Hartford and the Oneida County Historical Society. 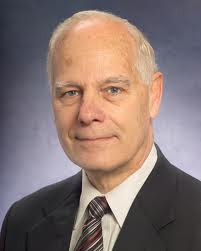 He has served as President of the Boards of Trustees for Faxton-St. Lukes Healthcare and The Community Foundation of Herkimer Oneida Counties. Bloch was a graduate of Pratt Institute in New York City with a degree in industrial design. He also has a Masters of Fine Arts from the University of Florida. After graduation, he became head of the art department in a community college in central Florida, and then director of the Pensacola Art Center in Pensacola, Florida. He has held positions as director of the Museum of Science and History in Little Rock, Arkansas, director of the Monmouth Museum in Lincroft, New Jersey, and for 14 years was executive director of the Mint Museum of Art in Charlotte, North Carolina. Bloch is survived by his wife, Mary Karen Vellines, daughters Kimberly Laakso and Farrell Hudzik, brother J. Stanley Bloch, and four grandchildren. Donations may be made to the Mint Museum, 500 S. Tryon St., Charlotte, NC and the Munson-Williams-Proctor Arts Institute, 310 Genesee St., Utica, N.Y. 13502. The dramatic art of a significant emerging literary genre will be explored in the exhibition, “LitGraphic: The World of the Graphic Novel,” on view March 4 through April 29 in the Munson-Williams-Proctor Arts Institute Museum of Art. In this look at the development and current practices of sequential art, also known as the graphic novel, “LitGraphic” showcases 200 original paintings, drawings, storyboards, notebooks, comic books, photographs, and a documentary film, offering insight into the lives of the artists and the nature of their work. Featured artists and writers include pioneers Lynd Ward (“Vertigo”) and Will Eisner (“The Spirit”) as well as contemporaries including Sue Coe and Marc Hempel, whose illustrations for Neil Gaiman’s groundbreaking “Sandman” are on view also. Mary E. Murray, MWPAI Curator of Modern and Contemporary Art, said comics have always been an important influence on modern and contemporary artists, from Lyonel Feininger, to Willem DeKooning and Roy Lichtenstein “The art of these publications is more than light entertainment, it is serious commentary on contemporary culture, and we are excited to present this important component of visual culture to our patrons,” she added. 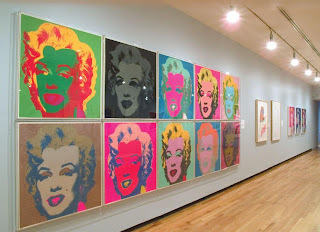 Murray noted that more than 60 years ago, the Museum of Art showcased an exhibition of drawings by cartoonist William Steig, creator of the character Shrek- and an exhibition of Milton Caniff’s Steve Canyon comics. Published in book form, graphic novels employ words and pictures to address thought-provoking subjects that will serve as the thematic framework for the exhibition. Commentary by artists and curators focusing on recurring subjects, artistic and cultural influences, and the climate that impacts the creative process will be woven throughout the exhibition where contemporary art meets traditional America. An increasing number of artists are choosing to express themselves through graphic novels, which have received increased recognition in the popular sector, in noted periodicals including “The New York Times,” “The New Yorker” and in classrooms, libraries, and bookstores throughout the United States and abroad. A graphic novel employs the technique of cinematographic narrative, developed by comic-book artists, telling the story through metaphors and visual images, particularly images of action. Graphic novels, or long-form comic books, have started to gain the interest and consideration of the art and literary establishment. Graphic novels, with their antiheroes and visual appeal, are approaching the popularity of the novel. Focused on subjects as diverse as the nature of relationships, the perils of war, and the meaning of life, graphic novels comprise the fastest-growing sections of many bookstores. “LitGraphic: The World of the Graphic Novel” is organized and toured by the Normal Rockwell Museum in Stockbridge, Massachusetts. 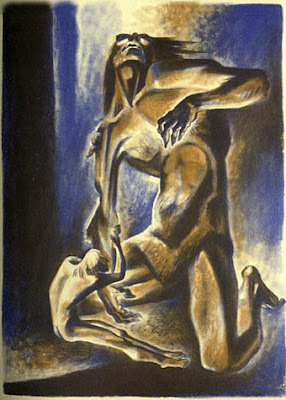 Illustration: Lynd Ward’s &#8220Beowulf wrestles with Grendel&#8221, 1933 (Courtesy Wikipedia). Among the North Country men who made their mark in the Old West was a native of Boonville, in the foothills of the southwestern Adirondacks. He became a success in business, politics, farming, and law, and played an important role in the development of a wild territory into our 44th state. But it was ties to some notorious characters that brought him a measure of fame. Jesse attended schools in Lewis, Oneida, and Fulton counties, and at 17 went to live with an uncle in Minnesota for two years. He moved to Omaha, and then settled in the Wyoming Territory. Within a decade, Knight progressed from store clerk and postmaster to court clerk and attorney. At Evanston near Wyoming’s southwest border, while running a successful law practice, he served as Territorial Auditor. He also acted as a land sales agent for Union Pacific. Among the properties he sold was 1,906 acres on the Bear River … to one Jesse Knight. 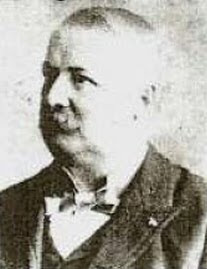 In 1888 he was elected prosecuting attorney of Uinta County, and in 1890, when Wyoming attained statehood, he was voted a member of the state constitutional convention. He was also elected as judge of the Third Judicial District. By this time, Knight was doing quite well financially and had added to his landholdings. On nearly 1400 acres along the Bear River and more than 800 acres of hills, the judge’s ranch had developed into an impressive enterprise. Within the fenced property, he grew high-quality hay (250 tons) and rye (50 tons), and raised herds of superior-grade cattle and horses. Irrigation was a key element: two main ditches (one was 3 miles long, 20 feet wide, and 4 feet deep) supplied ample water. The Union Pacific rail line bisected the property, allowing Jesse’s products easy access to markets elsewhere. Besides his showcase farming operation, Knight’s public career was also flourishing. In 1896, he suffered what appeared to be a setback, failing to win the Republican re-nomination for district judge. Unfazed, he ran as an Independent and won handily. A year later, he was appointed as an associate justice of the Supreme Court of Wyoming to fill an unexpired term. In 1898, Knight was elected to a full 8-year term. His business ventures were similarly successful. Besides the ranch, he owned part of a copper mine. He was also one of only two Americans working with several of Europe’s wealthiest men in developing oil wells in Wyoming. The consortium was valued at $10 million (equal to over a quarter billion in 2011). Jesse had a seat on the board of directors. In 1902, his prominence was noted in the naming of the Knight Post Office, which served a community near Evanston for 19 years. On April 9, 1905, though still a young man of only 55, Supreme Court Justice Jesse Knight died of pneumonia. He had accomplished a great deal for any man, let alone a poor, fatherless boy from the wilds of New York. His survivors included a wife and five children. Among Knight’s legacy are connections to some of the West’s notorious characters. In his capacities as rancher, lawyer, prosecutor, and judge, he dealt with many violent, dangerous men over the years. According to biographers of “Big Nose” George Parrott, it was Judge Jesse Knight who sentenced Parrott to hang for the attempted robbery of a Union Pacific pay car and the subsequent killing of two lawmen who were pursuing him. It was pretty much an average crime story until Parrott tried to escape from jail before Knight’s sentence could be carried out. The attempt prompted an angry mob to forcibly remove Big Nose from his cell and string him up from a telegraph pole. John Osborne, one of the doctors who had possession of Parrott’s body, examined the brain for abnormalities. Further dissection of the body led to lasting fame for Parrott’s remains. The skull cap that had been removed was saved, and over the years it served as an ash tray, a pen holder, and a doorstop. A death mask of his face was also made. That aside, now it gets gruesome. His body was flayed, and the skin was sent to a tannery, where it was made into a medical bag, a coin purse, and a pair of shoes, all of which were used by Osborne. The shoes were two-toned—the dark half came from the shoes Parrott wore during the hanging, and the lighter part was made from his own skin. Doctor Osborne wore the shoes for years—even to the inaugural ball when he was elected governor of Wyoming! The rest of Parrott’s remains were placed in a whiskey barrel filled with a salt solution, and eventually buried. The barrel was uncovered in 1950, and it was found that the skull cap neatly fit the remains, proving it was Parrott’s body. Other tests later confirmed the results. The death mask and “skin shoes” are now on display in a museum in Rawlins, Wyoming. In 1903, Supreme Court Justice Knight was involved in the famous case of Tom Horn, a former lawman and detective turned outlaw and hired gun. In a controversial trial, Horn was convicted and sentenced to hang for the killing of a 14-year-old boy. Justice Knight was among those who reviewed the appeal, which was denied. Horn was hanged in November, 1903. The most famous character linked to Knight was Roy Parker, who was actually Robert LeRoy Parker, better known as Butch Cassidy. They met when Cassidy was arrested for horse theft, a case tried in “Knight court.” After delays, the trial was finally held in 1894. Cassidy was very popular, and many of his friends were in town with the intent of intervening on his behalf. A verdict was reached, but Knight ordered it sealed, to be opened on the following Monday, by which time it was hoped many of the visitors would have left town. But Cassidy’s friends were loyal, and high anxiety reigned in the packed courtroom when the verdict was read. To counter the danger, the sheriff, several town officials, many private citizens, and the attorneys all came to court armed. Famously, Judge Jesse Knight carried a pistol, hidden beneath his robes. The jury pronounced Cassidy guilty, recommending him to the mercy of the court. Knight sentenced him to two years in the Wyoming State Penitentiary at Laramie. A few months before his scheduled release, Cassidy’s sentence was commuted. 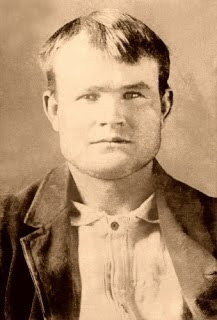 The term imposed by Judge Knight was the only prison time Butch Cassidy ever served during his lengthy, notorious career. y Parker, aka Butch Cassidy. Lawrence Gooley has authored ten books and dozens of articles on the North Country’s past. He and his partner, Jill McKee, founded Bloated Toe Enterprises in 2004. Expanding their services in 2008, they have produced 19 titles to date, and are now offering web design. For information on book publishing, visit Bloated Toe Publishing.